Reduce, reuse, re-fashion! 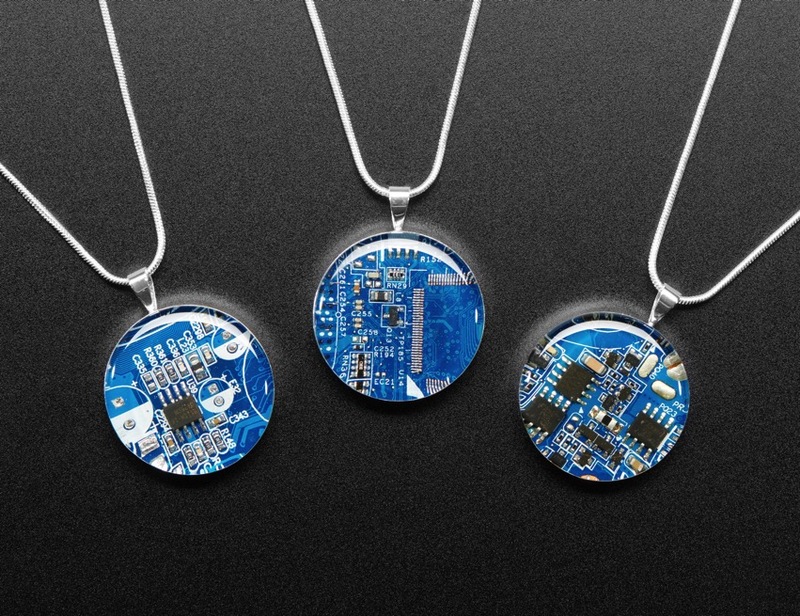 Show that you love the look of blue soldermask with this lovely Blue Circuit Board Pendant Necklace! 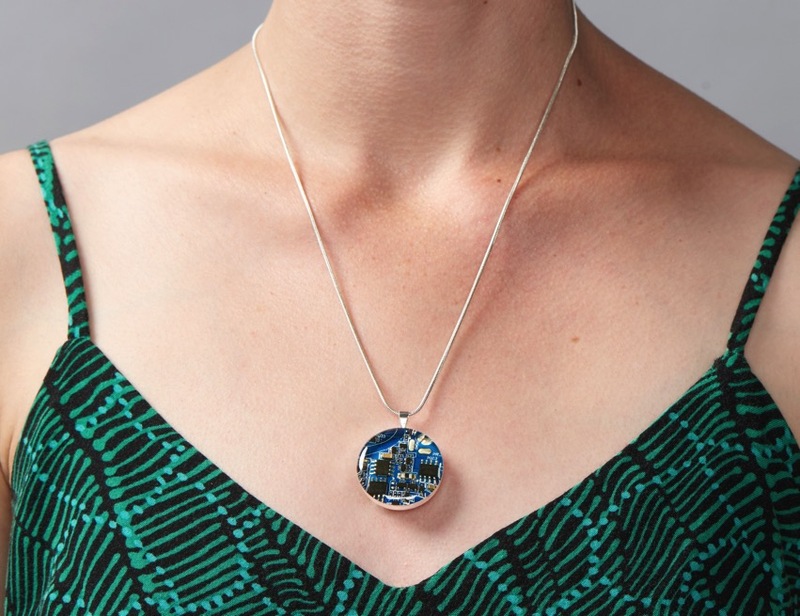 Circuit Breaker Labs is a woman-owned, US-based company that recycles circuit boards from computers, calculators, phones, etc, to make stunning, one-of-a-kind pieces of jewelry. 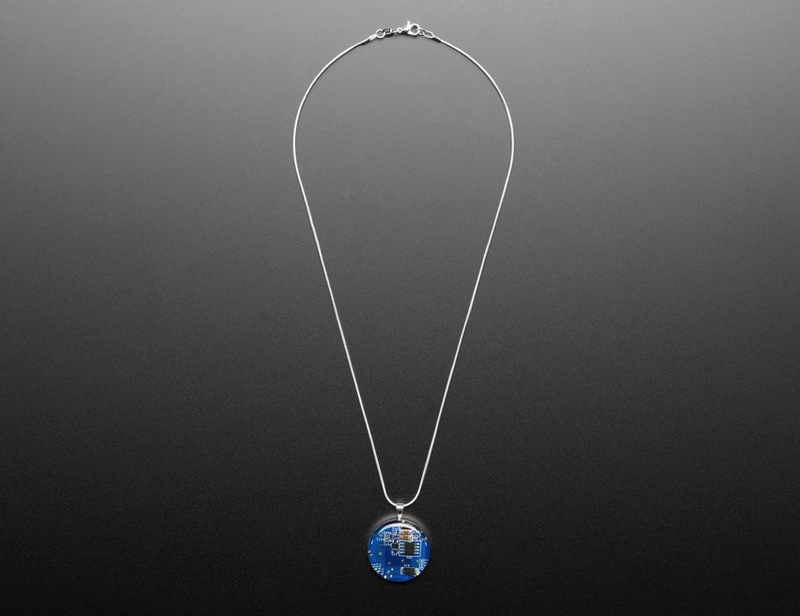 We think this is a fantastic solution to the crippling e-waste problem, and we’re proud to carry smart jewelry that inspires dialogue in responsible recycling through art. 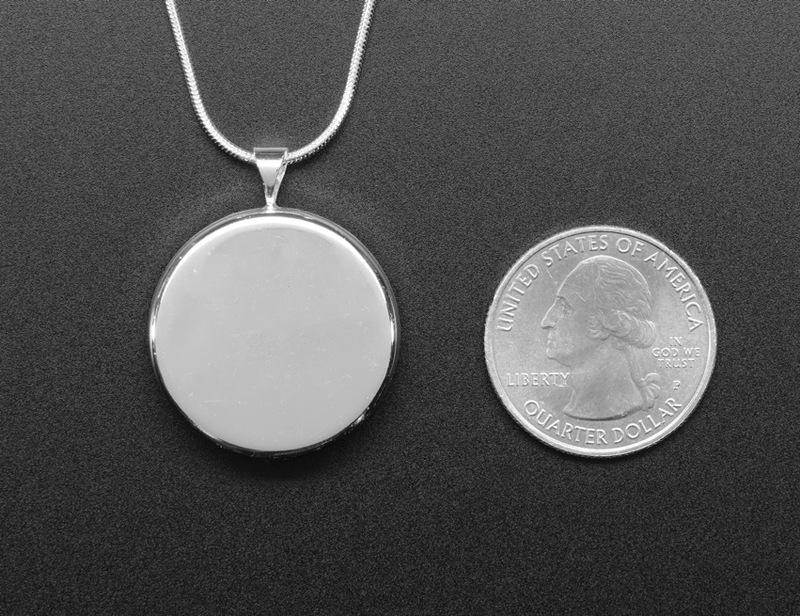 The pendant measures about 1.25″ diameter and hangs on an 18″ silver plate snake chain. The circuit board is topped with clear epoxy resin that gives it a magnified, domed appearance. Please Note: Each circuit board is recycled so each order will be completely different and unique! 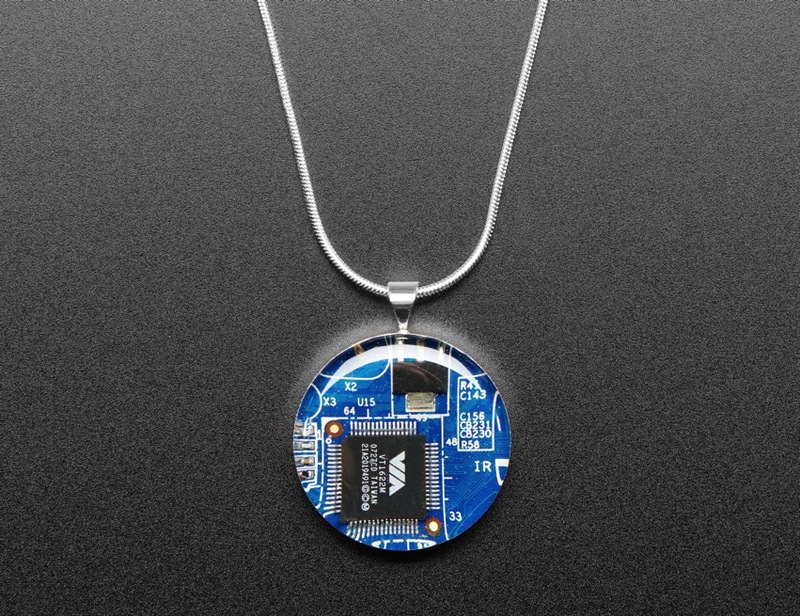 This necklace makes a wonderful gift for any special occasion, especially Valentine’s Day, or for anyone who needs more decorative electronics in their life.